Department of German language, literature and regional studies. The first founder of the Department “Translation, Translation and German Language” was Ph.D. 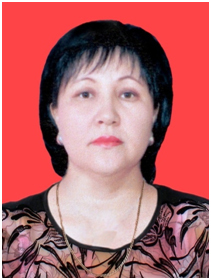 Associate Professor G. Satybaldieva. In 2011, on September 1, Associate Professor Asylbekova CH.A. was appointed Head of the Department. The department has 7 teachers and one part-time. Since September 2012, the department was renamed the “German language and literature.” The department has 3 senior lecturers, 3 teachers, 1 trainee assistant. Since September 2015, the department has become “German language, literature and regional studies.” At this time, there are 2 candidates of philological sciences, 1 senior lecturer, 3 senior teachers, 5 teachers and 1 laboratory assistant at the department. The department collaborates with the German program “DAAD”. Having won this program, students have the opportunity to develop their knowledge in free courses in all states of Germany. The lecturer G. Matkalykova winning program (BOSH) as well as other teachers of the department who came from Germany as lecturers, volunteers annually based on this program conduct a lesson, various circles, contributing to the development of our students’ speech. At this time, the department has a library called the German Language Center, which cooperates and is sponsored by the Goethe Institute in Almaty, the Republic of Kazakhstan.